I can't look at this without smiling. This was sent in response to the funky colorful Niagara Falls postcard. 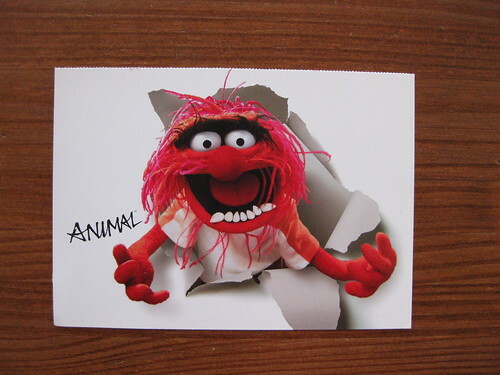 Animal! I used to love the Muppets as a kid, especially the Muppet Babies. I had a Muppet Baby Miss Piggy paper doll set that I LOVED until I lost it. I wish I still had it even today, but I think it got lost in a move. Have my feelings been softened? Another fantastic handmade bat card!